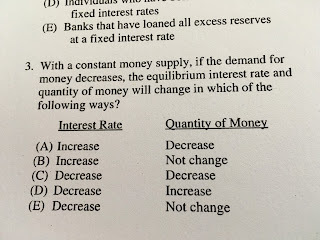 Equation of Exchange and how has it been tested. 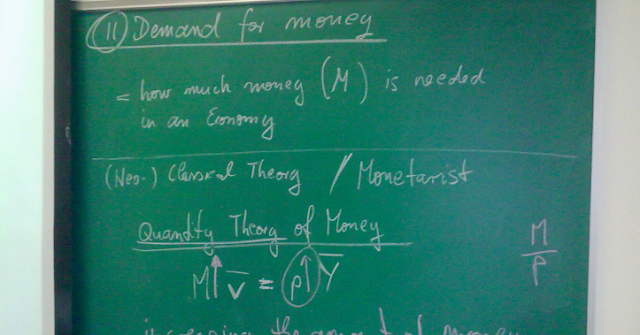 Monetarists believe that inappropriate monetary policy will cause macroeconomic instability. real output is $4,000 then the money supply must be? meaning that both sides must equal each other. If the MS decreases and the NGDP doesn't change the only thing that could have changed is the Velocity of money must have decreased. The Velocity of Money and the RGDP are often considered constant, so if the MS increases and Velocity and RGDP are constant the only thing that could have increased is the Price level. Y = Incomes on the bottom of your AD/AS graphs. People have a stable desire to hold money relative to other financial assets. 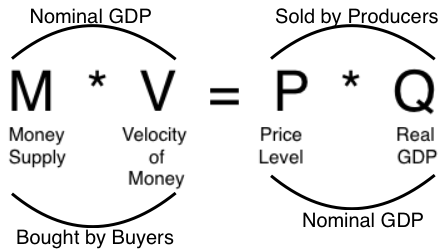 If the money supply increases at the same rate that velocity falls, the NGDP is unaffected. 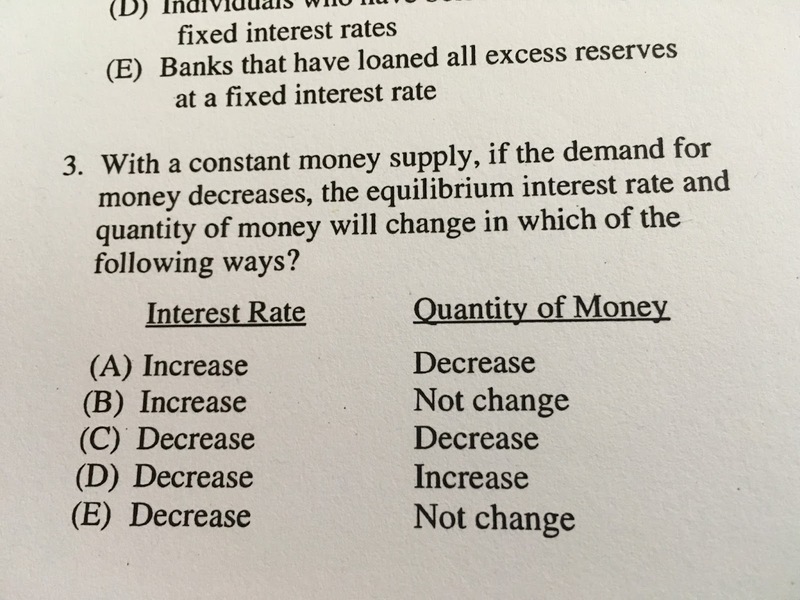 If the demand for money decreases the NIR will decrease, the money supply is constant so no change.